Each year, IAU celebrates the successful completion of the academic year by its graduate students as well as its study abroad students in a closing ceremony and commencement program at the close of the spring term. 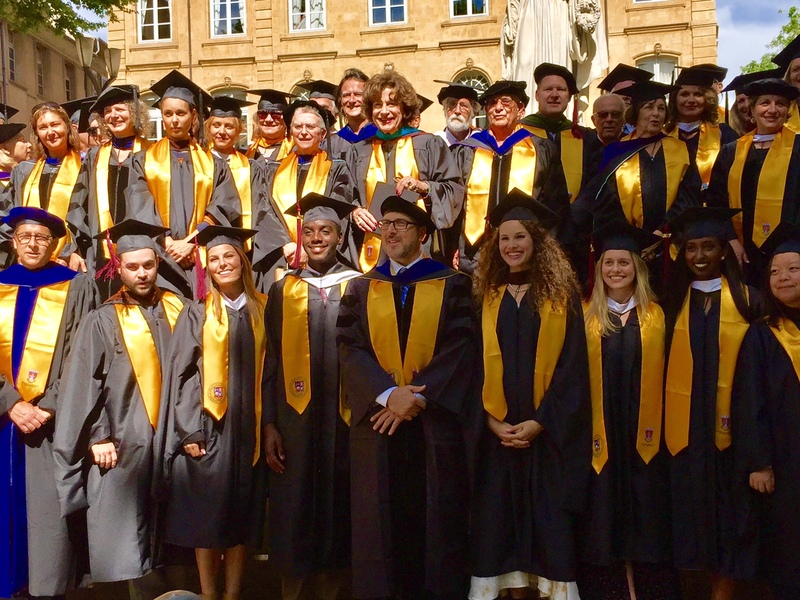 IAU has been fortunate to welcome the Mayor of Aix, Board of Trustee members, distinguished academics and other celebrated guests to the IAU closing ceremonies. ACM offers five graduate programs at its Aix-en-Provence, France campus as well as a Bachelor of Arts degree. For more information, please see www.ACMFrance.org.